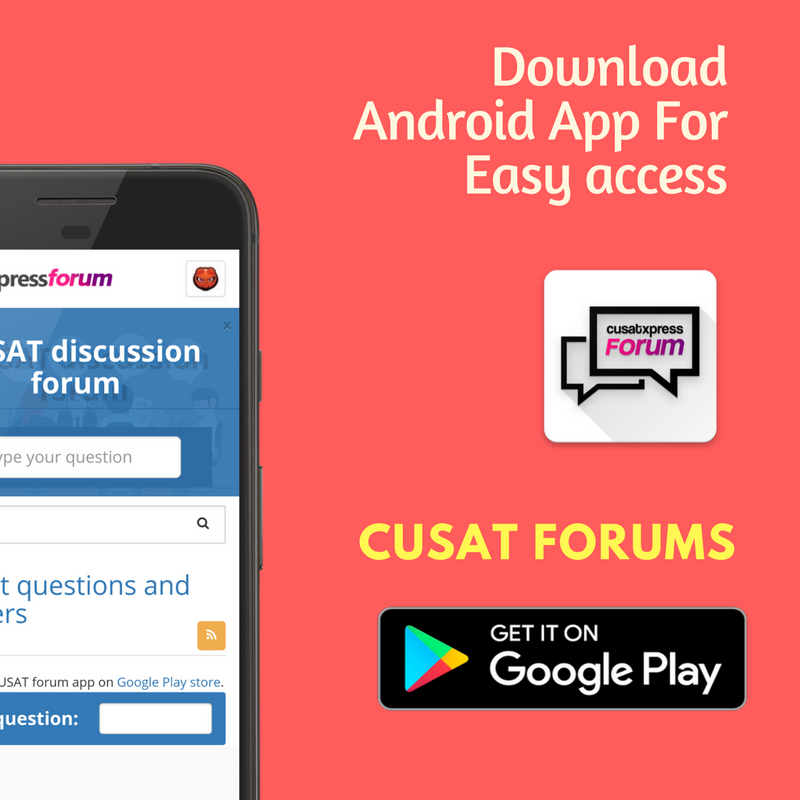 Can I attend civil service exam if i had taken fire& safety in CUSAT ? is there any possibility of getting admission in nri quota if i had not registered for nri in application form ? can i get admission in bsc msc photonic science with a rank of 6597? sirmy gen rank is 5504(non keralite).cani get adm incusat inany branch except mari eng and fire saf eng? For SEBC candidates, is non-creamylayer certificate neccessary for the admission ? where can I get the forms? Is that true that cusat is all set to affliate its courses under KTU?